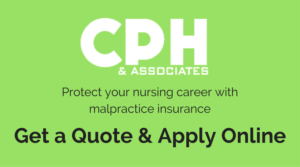 Nurses, Are You Aware of Your Malpractice Risks? Malpractice liability for nurses may be more common than you think. Consider this scenario: Mr. Jameson, a contractor, suffered a heart attack. On June 15, 2010, he was admitted to XYZ Medical Center. After his coronary bypass surgery, he was transferred to the Critical Care Unit. His nurse, Lisa Johnson, was on duty with Mr. Jameson as her patient beginning at 7:00 p.m. after his surgery. Mr. Jameson was in a chemically induced coma, and very ill during Nurse Johnson’s’ shift. He required constant monitoring (blood pressure, blood sugar, and IVs). At the beginning of the shift, Nurse Johnson monitored his IVs, including the IV for Propofol. This IV was inserted into the vein on the front of the right hand. There was no documentation of this assessment, or any other assessment, until 4:30 a.m., when the IV infiltration was added to Mr. Jameson’s medical record. Mr. Jameson recovered, to be discharged on June 19th. However, he had suffered damage to his right hand from the infiltration. He consulted with a plastic surgeon and the condition of his hand worsened. He had plastic surgery on June 21st at the same hospital. After the surgery, Mr. Jameson’s condition continued to deteriorate. He received no order for physical therapy on the hand. In March of 2013, Mr. Jameson filed a lawsuit against the hospital. He alleged that the hospital was negligent in care and treatment, leading directly to the infiltration of the IV containing Propofol. This, he claimed, resulted in “severe and permanent” damage to his right hand, right arm, and body. In this case, Mr. Jameson is in full legal right to name Nurse Johnson as a defendant in the suit. 1. There is no limit to the number of individuals or entities that can be named in a lawsuit. 2. Those who are named as defendants must be “necessary parties” to the suit, and Nurse Johnson qualifies. a. Interventions are delivered in a manner that minimizes complications and life-threatening situations. b. Evaluation occurs within an appropriate time frame after interventions are initiated. If the plaintiff can prove that Nurse Johnson failed to uphold these or other standards of care, she may be held liable. Professional Liability Insurance for Nurses can help protect nurses from such a situation. Claims of carelessness or negligence can be mediated with professional malpractice insurance. This is the best way to guarantee that you have the defense needed to go to trial. When we think of malpractice, we tend to focus our attention on doctors, but nurses can be held just as liable in these cases. Nurses need professional liability insurance to stay protected.